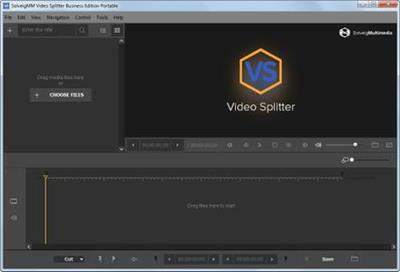 The SolveigMM Video Splitter is an outstanding video editor for working with MPEG-2, AVI, WMV, ASF, MP3, WMA files. The editor is lossless and fast, removing unwanted parts of the video seamlessly with just a few mouse clicks - cutting and joining up video and audio streams perfectly. The attractive and intuitive user-friendly interface is very easy to use. Based on SolveigMM Video Editing SDK, our audio - video editor provides incredible quality and speed without using any encoding/decoding process. We introduced MPEG-2 frame accurate editing. SolveigMM advanced technology keeps 99% of data and only transcodes a few frames at the beginning and end of the video segments, so that now MPEG2 files are also processed fast and lossless.